Custom Tool and Machine, Inc. was founded in 1992, by Wayne and Sandra Myers. As with most machine shops, Custom Tool originated in Wayne and Sandra's two-car garage. It has grown into 30+ employee company by supplying parts and service that exceed customer expectations. In 1997, they purchased property in Hollins, Virginia and expanded into a 6,000-sq. ft. manufacturing facility. Because of the staff's commitment to service, state-of-the-art technology, and old fashioned work ethics, in 2003, another 5,250-sq. ft. was added to keep up with our customers’ demands. Our goal is to give you the best quality tooling possible, with reliable on time delivery at competitive pricing. Our quality is what sets us apart from our competition. Quality components and superior customer service is our customers can expect from us. We use our 25 years of experience in every aspect of our trade and in everything we do here at Custom Tool and Machine. Our hi-tech inspection equipment ensures that your parts meet your exacting tolerances. Our timely response is matched only by our commitment to quality and accuracy. It begins with experienced and capable people. Combine that knowledge with the very latest technology and you have the best of both worlds. We continue to grow thanks to our customers support and the new demands of an ever-changing manufacturing world. Custom Tool & Machine has developed its stellar reputation from a rock-solid work ethic and excellent customer service with quality product delivered nationwide to a very diverse customer base over the better part of two decades now. Custom Tool & Machine prides itself on its ability to perform in a high-pressure, time-sensitive environment. Our manufacturing schedule has allowed us to promise the possible and to accomplish that promise – every time. 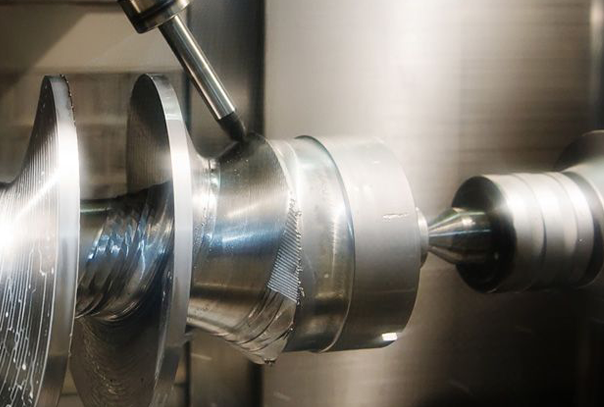 Our machining and automation experience allows us to work with customers from product design and prototype stages through the very end stages of production, providing engineering and design expertise, assembly, machining, and inspection to ensure a quality product as a result.